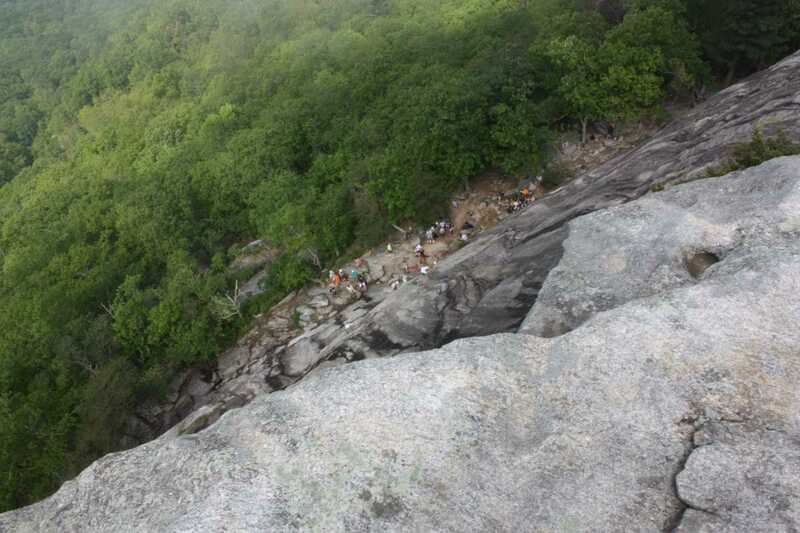 Yonah Mountain, known for its many rock climbing routes, is the perfect weekend hike for those looking for something a little more challenging. 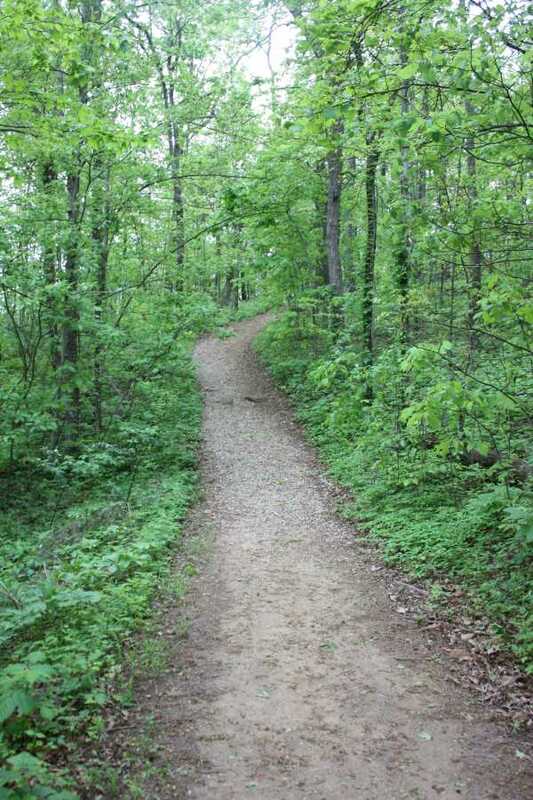 Although the trail isn’t very long, it makes up for it with a steady incline of over 1400 feet in less than 2.5 miles. 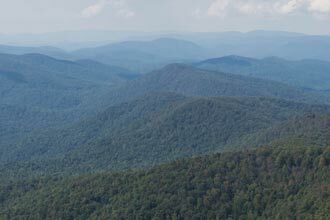 This is definitely not a beginner’s hike, but the view at the top of the main rock face can’t be missed. Drive down the long bumpy gravel road to the parking and trailhead at the end. There is no parking fee. 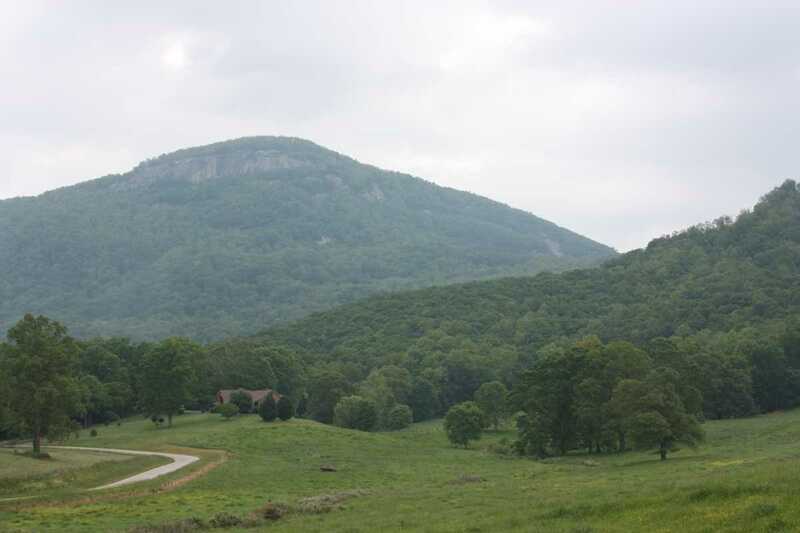 Directly in front of you is Yonah Mountain and the main rock face. 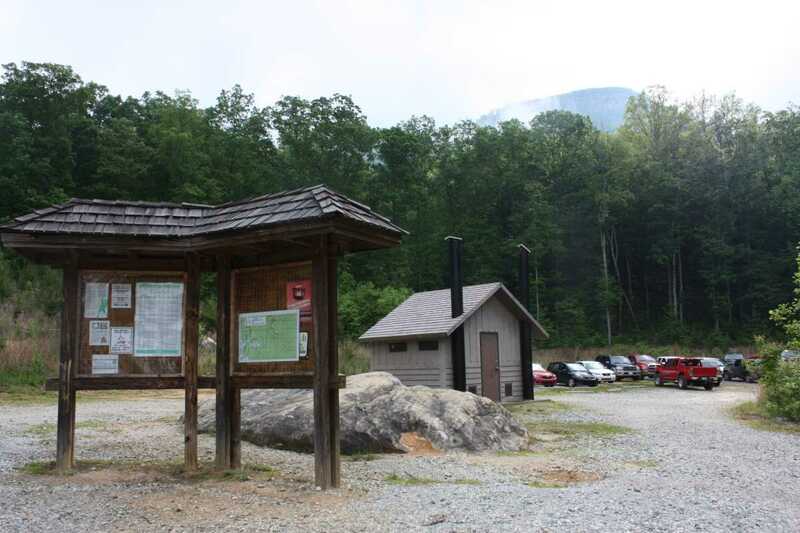 Restrooms are located at both the trailhead and the Ranger training ground. The trail is to the left of the info sign and starts off at a moderate incline. 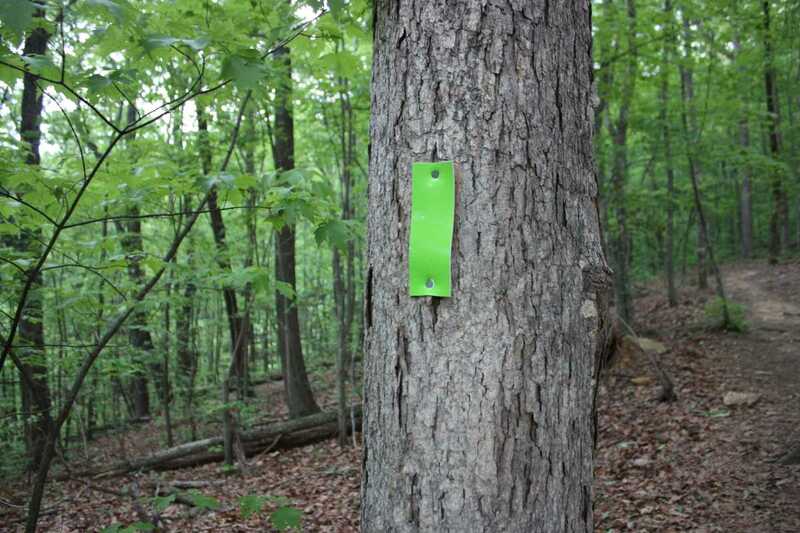 Green blazes mark the way; however, they are sparingly used. 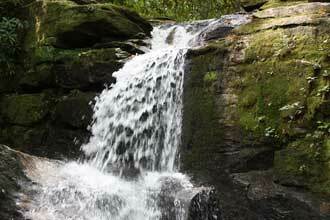 At .3 miles, the trail crosses a small footbridge and then continues to ascend, hugging the contours of the hillside. 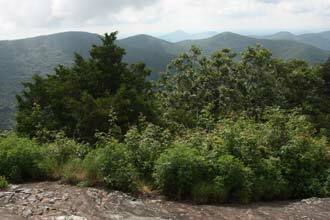 Along here, the trail passes below the main face of Yonah Mountain before heading back to the north at .8 miles in. 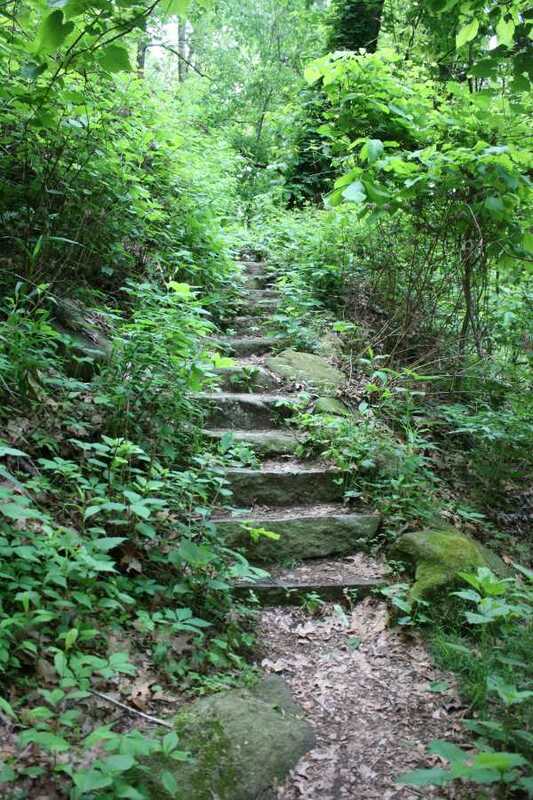 Continue up two short, but picturesque stone staircases and pass by several large boulders that dot this trail. There are a few smaller side trails that lead away, but determining the main path is not a challenge. At 1.2 miles, the trail comes to its first junction, a 4-way split. 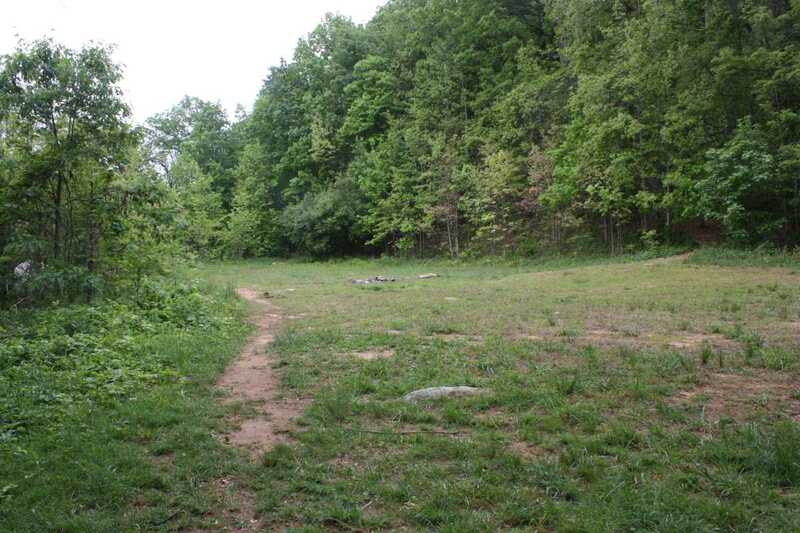 Take either trail to the left; they reconnect shortly on the other side of a small clearing. 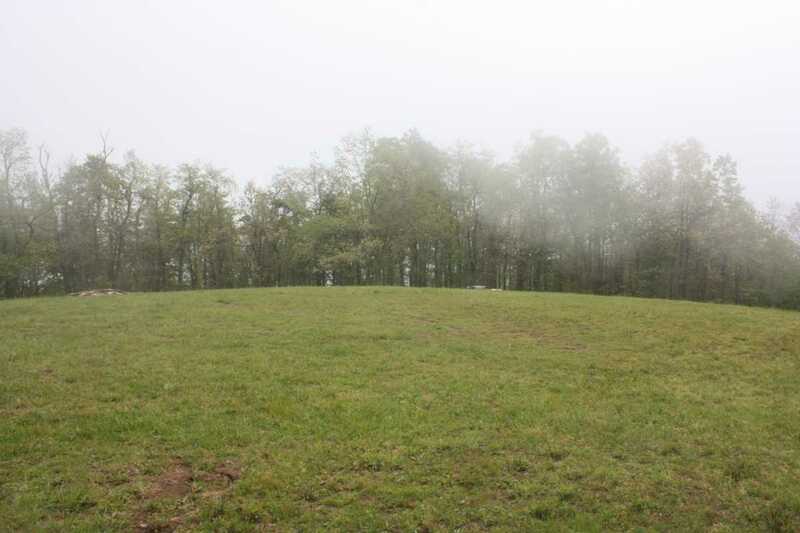 Check out the first real view at this clearing. Continue up the trail, staying on the wider trail at another split. 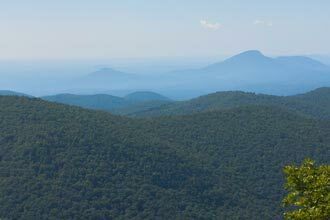 Here is where Yonah Mountain trail starts to really gain elevation. The next quarter mile is the steepest section of this trail, and is also one of the rockiest. The path soon gives way to a more forgiving gravel trail. At just over 1.5 miles, the trail connects to the wider gravel road. Turn right, taking this road uphill. Several marked and unmarked intersections await you from this point on, so in general take the wider path going uphill. Shortly after connecting with the road, the trail opens onto the US Army Ranger training ground. 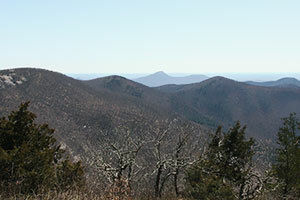 The mountain phase of Ranger training takes place on the mountain. 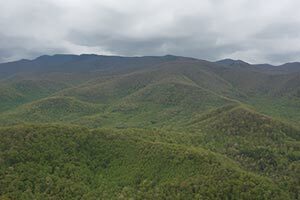 Make sure to call ahead with the information listed on this site to verify they are not training, as some of the climbing routes and trails may be closed so as not to interfere. Here at the Ranger training ground is the first of several junctions. Again, the surest route is always the wider path that’s heading uphill. You can follow the road up to the summit or go directly up the hill from the training ground, following the sign to the main face. A 5-way split welcomes you next. Here you want to only follow the road to the left, ignoring the signs to the main face and other climbing routes. Again, go through another smaller junction, staying to the left. 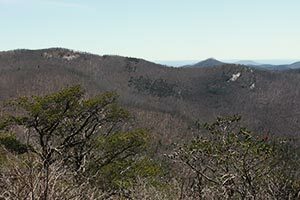 At 1.9 miles the trail comes to the final junction which forms the short loop atop the mountain. Continue straight to head to the summit or to the right for the main face. At the summit is a small clearing with a couple of fire pits. Surrounded by trees, there isn’t much of a view here. Continue to follow the path on the other side of the clearing, heading downhill to the top of the main rock face. This is where you’ll get the views. 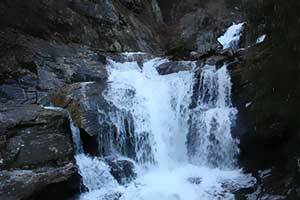 Explore along the lengthy edge of the large rock face, taking caution as it is a very long fall. Look for rock climbers scaling the rock below you. Looking straight out, you can see the trailhead and parking lot and on a clear day, much of the surrounding landscape. Continue around the loop to reconnect with the trail down the mountain. 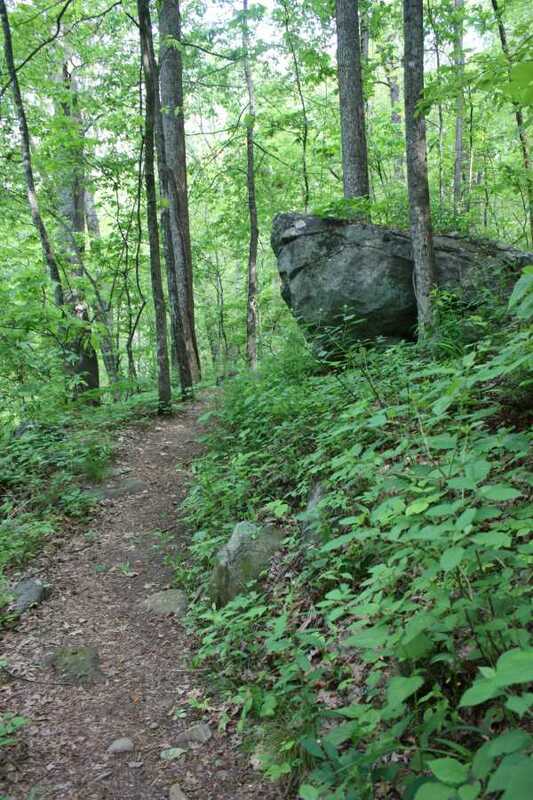 If up for it, check out the side trails for even more interesting rock features, even if you’re not a rock climber. Go slow down the steep slopes. The lose rocks are just begging for an ankle to roll. 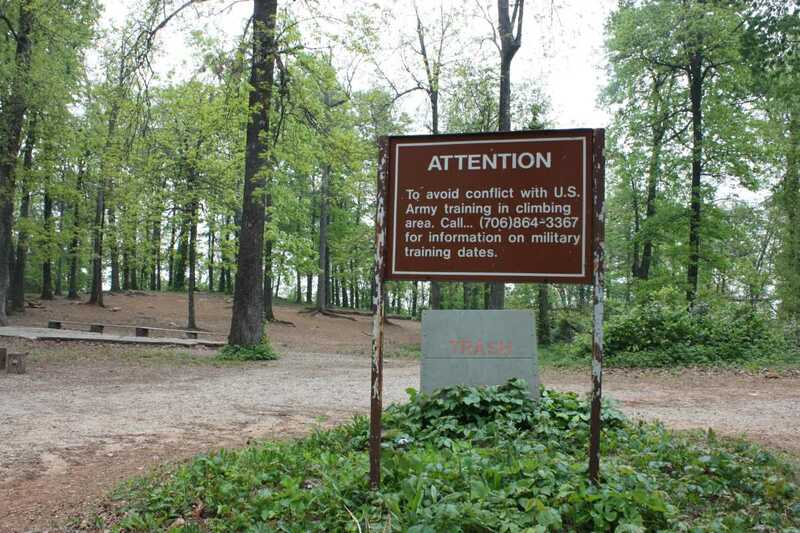 Athough I have been told the hiking trails remain open during Army Ranger training, you can call ahead to be sure. 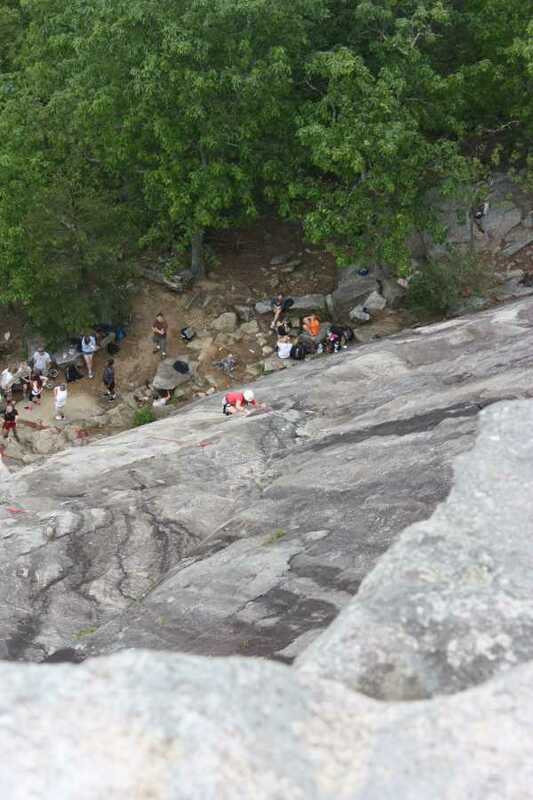 Much of the climbing routes will be closed during training. US Army Ranger Training Office Camp Merrill - 5th Ranger Training Battalion: 706-864-3367 or 706-864-3327. 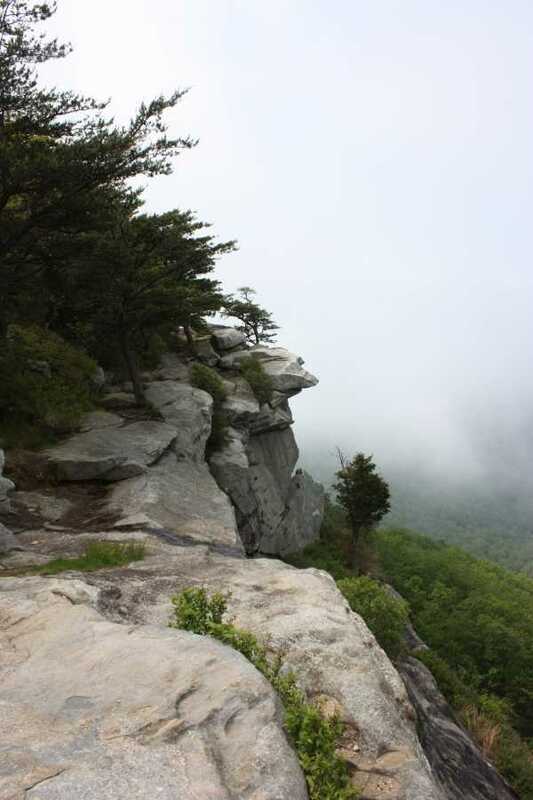 The main rock face has near vertical drop offs. Keep close watch on children and pets. Short but tough - GREAT VIEWS!!! This is a great hike. It's short but a steady uphill battle. 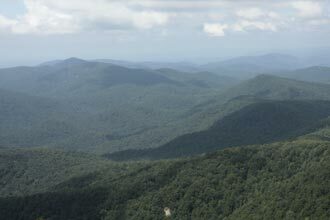 It has some of the best views in Georgia. The top half is nearly all along a cliff face with a steady view of the beautiful country side. This is a must hike. At a medium difficulty it won't be for beginners that are very out of shape but the incredible views are worth the effort. Unless it's completely foggy. Still worth it. Just go.